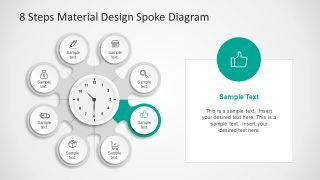 The 8 Steps Material Design Spoke Diagram PowerPoint Template is an impressive presentation design of circular process flow. This is an effective template with professional graphics to demonstrate specific topic areas and their relationships. 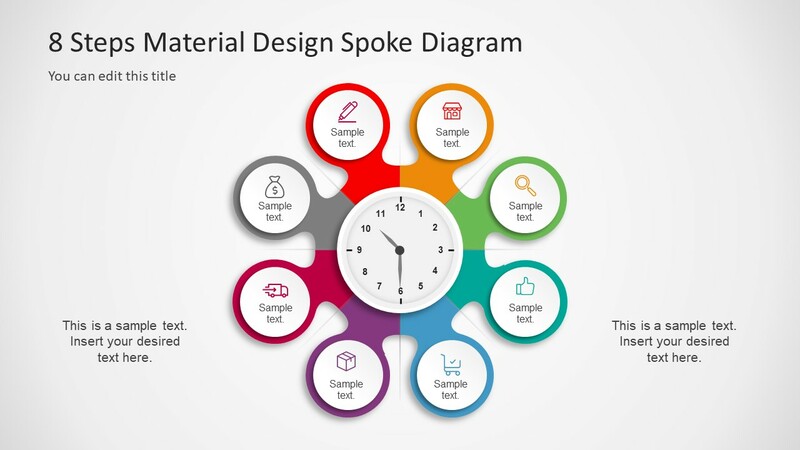 The PowerPoint features an 8 segment spoke diagram of circular components connecting to the clock center. 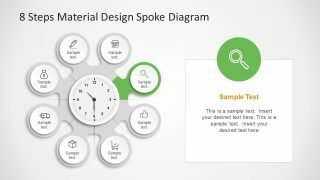 Although, the circular spoke diagrams are useful to show the features or categories. Whereas, the central unit for functional areas of business management, project development or marketing. 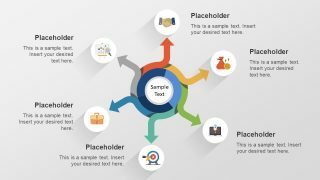 The presentation template however is helpful in displaying sub process of a business model, visualization of cause and effect analysis. The colorful template of spoke design PowerPoint is a vector base presentation containing useful infographics. 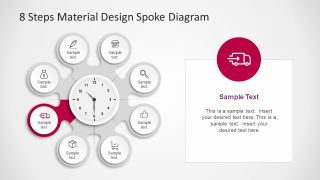 The impressive presentation of 8 Steps Material Design Spoke Diagram PowerPoint Template is resourceful tool for trainings and guidelines. For example, the leadership management and their roles and responsibilities. Or, propose the features of software upgrade and product etc. 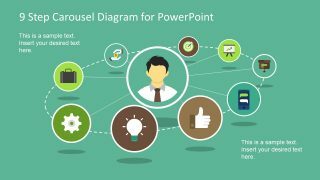 The PowerPoint spoke diagram template contains eight slides which highlight the individual segments of presentation. This feature enables audience to comprehend the terms given in each. 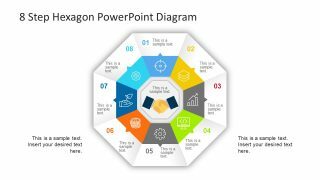 Further, the editable template contains PowerPoint shapes and icons which enable users to personalize the design. Additionally, explain the interconnection of all eight elements as classification of business processes. 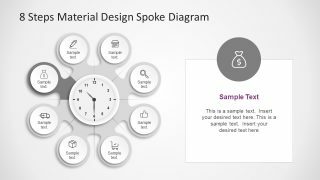 The 8 steps spoke diagram of material design is minimalist PowerPoint presentation. It helps audience to visualize the content of difficult concepts and ideas and create a mind-image of each topic. 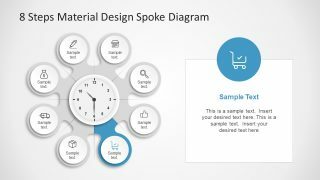 The clock illustration clipart in the center has incredible customization feature. 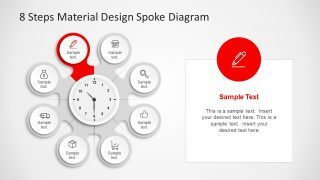 Here, users can select and rotate the clock-hands to adjust the time on the spoke diagram. 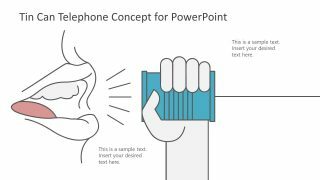 Moreover, the slides contain placeholders to add important key notes and infographic icons of PowerPoint. These include, shop, magnifier, thumbs up, cart, box, shipment truck, money bad and pen which represent separate section. 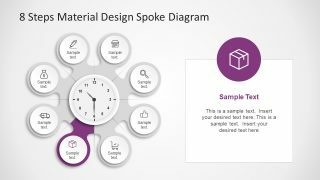 Further, the spoke diagram template of PowerPoint is a generic design for every industry. 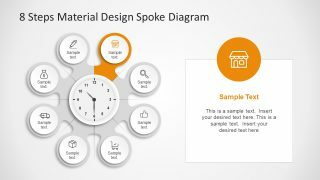 The SlideModel.com also has 7 steps material design spoke diagram version of PowerPoint.